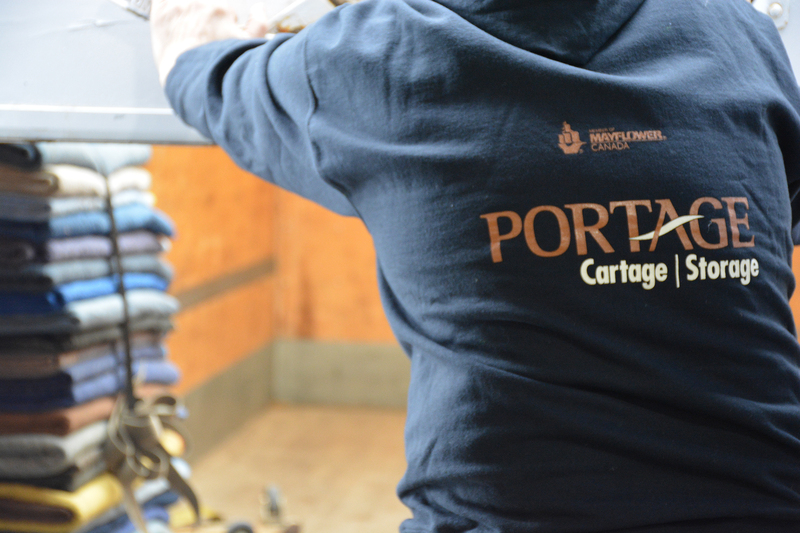 Portage Cartage & Storage is one of the oldest and most experienced movers Winnipeg has to offer. With over 60 years of hard earned industry knowledge, we have been dealt almost every card in the deck. Few moving challenges are too hard for our expert moving minds to solve. Before you think something can’t be moved, let us take a look at it. We are among the best full service residential and commercial movers in Winnipeg, and offer many specialty solutions such as office moving & installations, IT equipment moving, piano moving, secured storage, distribution and freight services, equipment moving (manufacturing, printing, commercial kitchen, etc), and even rigging. We have taken the time to perfect many skills over the last half century and we stay up to date with the newest in industry best practices. Our team of skilled and trained men and women, our versatile fleet of trucks, and the best in modern, clean, specialized moving equipment allow us to handle nearly any job with efficiency and quality service. No matter the size of your home or the distance of your move, Portage Cartage & Storage is more then ready to get any and all jobs done and done properly. We have the knowledge and experience to build a solution for you. The big difference you get from us is that all of our staff really truly care! Take a moment to review the vast array of commercial services on our website. We have over half a century of experience moving hotels, hospital equipment, multi-floor offices, boilers, photocopiers, server towers, industrial equipment, etc. We have the capability to complete any job, no matter the size. We have many creative solutions to fit the needs of all residential storage and commercial warehousing customers. With our traditional climate-controlled indoor palletized warehouse, yard storage, and mobile self-storage options, we can support all cutomer requests.